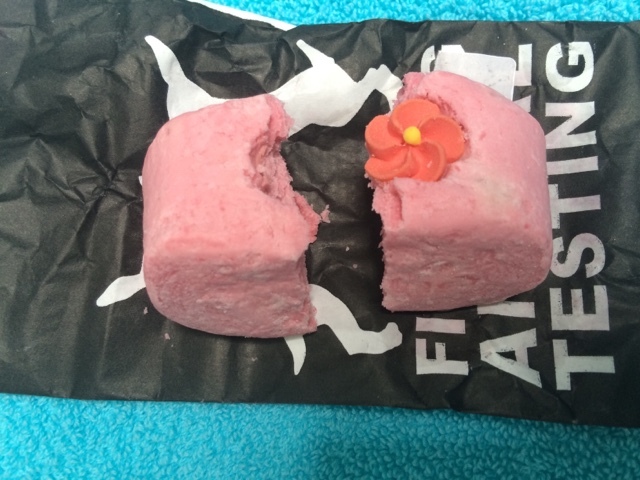 Today's review is on the Creamy Candy bubble bar by Lush. 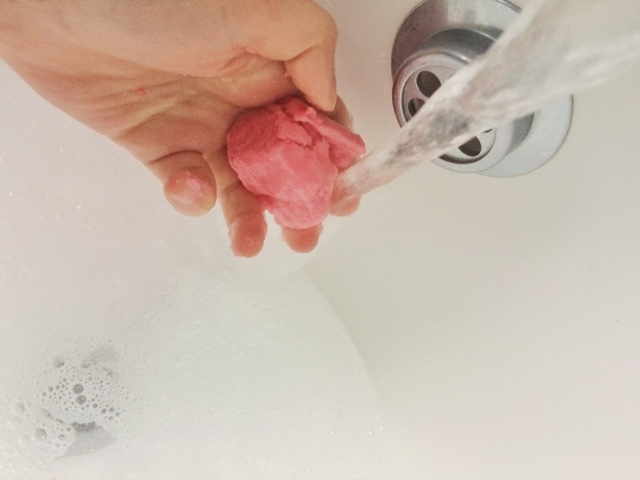 This bubble bar is definitely one of the more budget friendly ones. It isn't large and at most I only get 3 uses out of it but at £2.75 I don't really think you can go wrong. I have been buying this bubble bar for years now, it isn't one I buy all the time, probably only a few times a year but I still do like it. Although I like this product I wouldn't say that it is one of my favorites, because of all the other products Lush has to offer it's hard to fit them all in to that category. Because this one is a more budget friendly one I feel that anyone can experience a bit of Lush during bath time with this product. 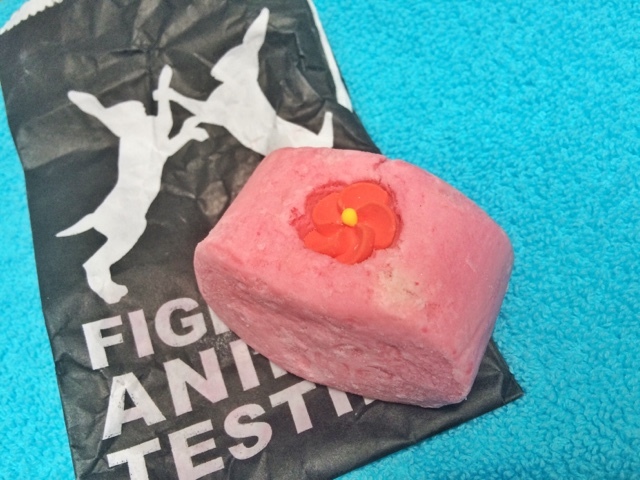 At first sight this bubble bar is a lovely colour of pink with a vegan friendly flower on top. The design of this bubble bar is quite simple yet effective I feel because it's aesthetically pleasing and the smell is amazing. Trying to describe the smell is somewhat hard because I can't quite put my finger on what it reminds me of but I would definitely say that it is a flowery smell, sweet, strong. For me this bubble bar scores very high because of it's smell. First off I start by breaking the bar in two (sometimes in three pieces) I wrap up the other piece and put it back into my lush box for a later use. 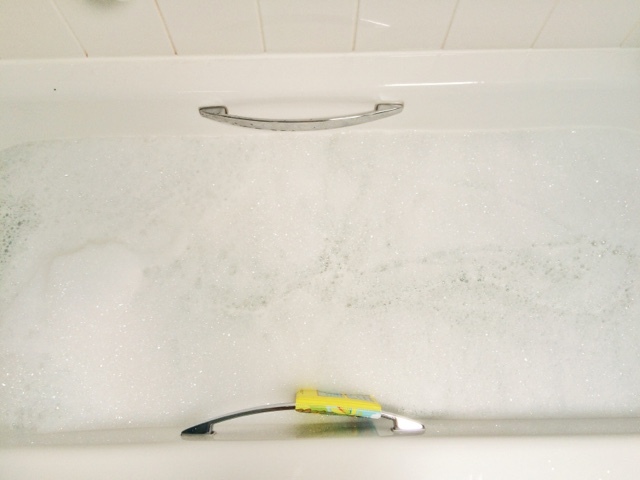 Once I have put the spare piece away I crumble the bubble bar under the running tap so that it creates bubbles. While doing this you get the scent attacking your nose, leaving you to in hale a completely divine smell. I always have been and always will love the smell of this product, it is definitely one of the best scents in Lush. I have heard a few people say that the smell doesn't stay as long or its not as potent if you use just half the bubble bar, but for me I don't feel like it makes all that much of a difference by using half or the full thing, I always have a great smelling bath with this and I feel the smell sticks to you so you can smell it for a good length of time. When my bath is run this is what it looks like. As you can see I don't like a lot of bubbles but I do like some. It is perfect for me to step into, lay down and relax in. With this bubble bar however one negative point for me is that it doesn't turn the bath water the colour you would expect... pink. It turns its a slightly pale pink and on occasions my bath water just looks cloudy which can turn me off a bath in an instant if the water looks like there is some dirt in it, but this rarely happens with the bubble bar, I would say I have only experienced this 3 times in all the years I have been using this bubble bar and it's a worry in case this happens again so I have got to a stage where I always make sure I use a bath bomb along with this bubble bar, This would be my only negative about this bubble bar and I would say it's not that big a deal when using it as I feel the bubbles and smell make up for this. So what do Lush say? 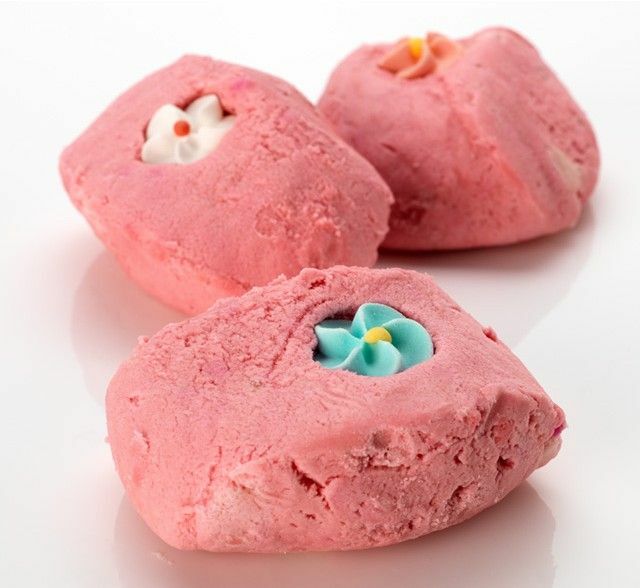 ; "Our bubble bars are very gentle, even for sensitive skin and Creamy Candy is no exception. Lay back into sweet, frothy, and fluffy bubbles that smell like delicate vanilla candies and cotton candy. In fact, you’ll feel like you were bathing in your favorite sweet shop. Our sweetest bubble selection, Creamy Candy is for those who love their bubbles bright pink and delightfully sugary. It's a combination of luxury bath melt and bubble bar, loaded with generous chunks of cocoa butter to melt and softly moisturize your entire body while you bathe." Ingredients; Sodium Bicarbonate , Cream of Tartar (Potassium bitartrate) ,Sodium Laureth Sulfate , Fair Trade Organic Cocoa Butter (Theobroma Cacao) , Lauryl Betaine , Laureth 4 , Fragrance ,Almond Oil (Prunus dulcis) , Vanilla Absolute (Vanilla planifolia) , Alpha-Isomethyl Ionone , Sugar , Corn Starch ,Blue 1 , Red 40 , Yellow 5 , Yellow 6 , Red 33 , Red 27 , Red 4. *Occurs naturally in essential oils.